This entry was posted in Lies and tagged "no evidence", Ellen Hahn, innumeracy, UKY. Bookmark the permalink. Many of these anti-THR groups cry about there being no scientific evidence, but when citations are posted on their Facebook pages with links to peer-reviewed journal articles, they quickly erase these posts. So it would appear that the issue isn’t lack of scientific evidence, but rather that they prefer to ignore the science that creates cognitive dissonance with their belief system. Do you recognize somebody in the illustration of this article from the french version of the Huffington Post ? Such a strange coincidence, isn’t it ? 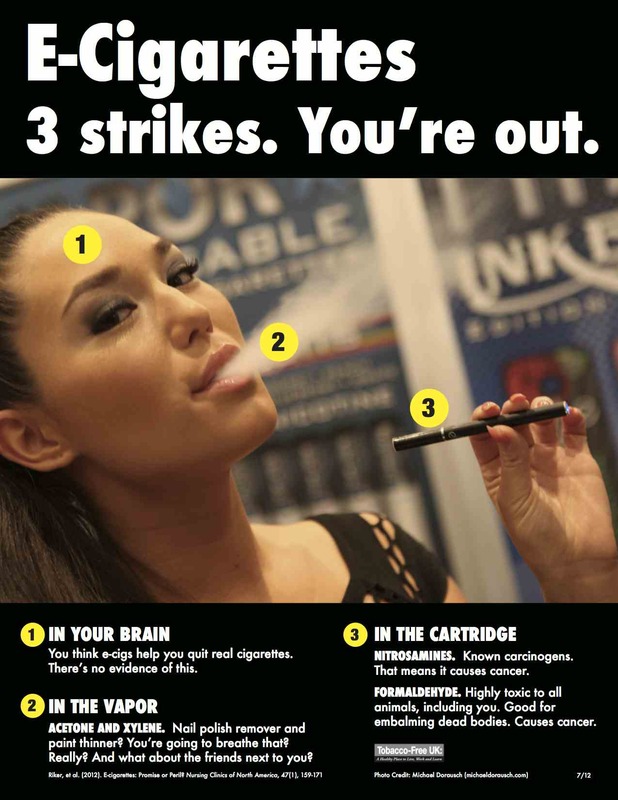 This article is titled : “e-cigs could be dangerous to health”…. And it’s scientifically horribly wrong. False. Inept. Yeah, I think we came across an English version of that (or a translation) and it appeared to be pretty much based on the Hahn lies. We really desperately need a better press corps.